Happy “housiversary”! Um, say what? 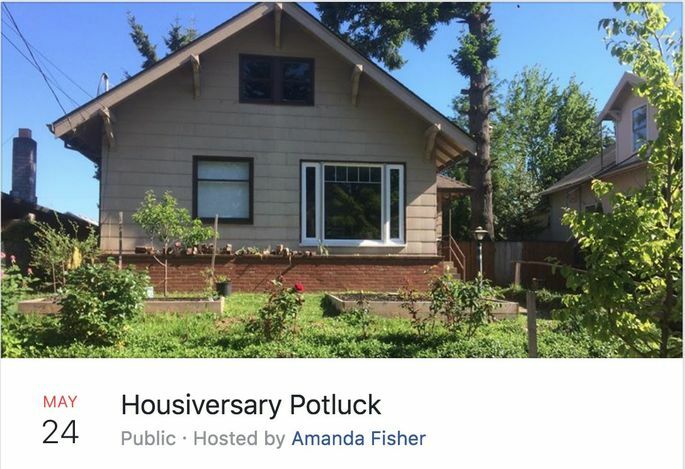 Yep, #Housiversary is a thing on Instagram, Twitter, Facebook, and beyond. The reason: Much like a marriage, the day you close the deal and officially “own” your home is a milestone that should be celebrated. Yearly! Only how? 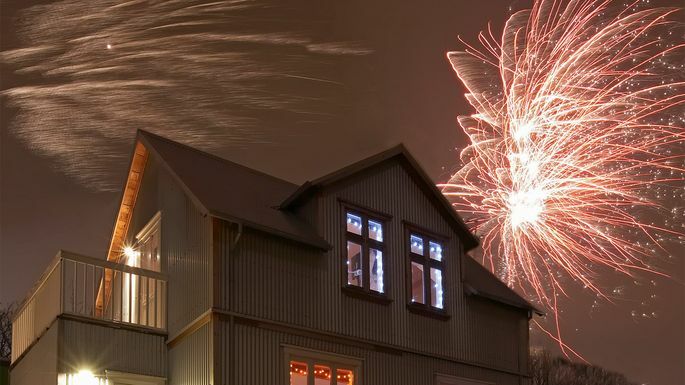 Here are a bunch of ideas on how to celebrate this big event, from the very day you close the deal to years down the road. What Is a Real Estate Broker vs. a Real Estate Agent (and Which Should You Hire)? When you close on a property, you sign tons of documents and hand over any last payments. Then at the very end comes the best part—you finally receive the set of keys that actually open the doors to your new home. It’s no wonder so many housiversary revelers like to show off their key rings to mark the occasion. Richard Blakeley of AmericanAutotroph.com and his wife closed on their home on Halloween of 2016. “And we love to celebrate our housiversary,” says Blakeley. 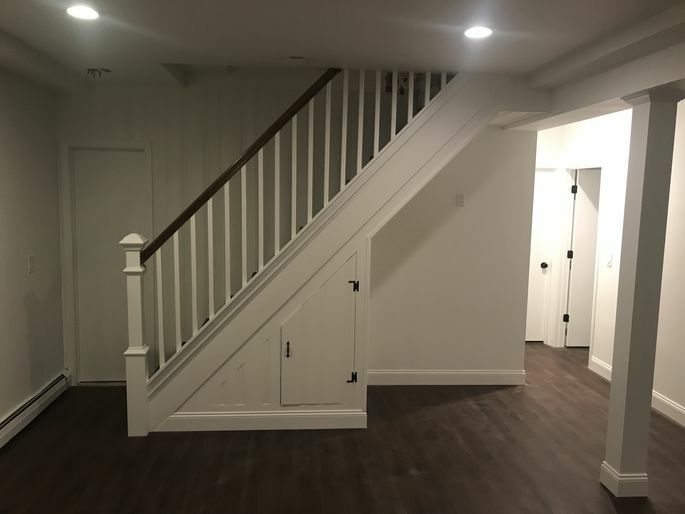 In addition to having a combo housiversary/costume party every Halloween, Blakeley also makes a point of taking yearly photos of his home to document the renovation progress. “One day I hope to print out the pictures and hang the photos on our staircase wall, complete with the year below each one,” says Blakeley. The couple usually mark the occasion with cocktails by the water. “We live in the woods, so we pick wild marionberries and then muddle them with fresh herbs and citrus,” says Hill, who then adds organic vodka or gin. If you don’t have wild berries growing in your yard, no problem. You can simply stop by a liquor store and grab what makes so many housiversaries a happy and special occasion—a bottle of bubbly. Moving day usually ends with ordering takeout, since no one wants to cook after a day of hauling boxes. It’s no wonder many homeowners mark their housiversary with the tradition of food in a box. Besides, nothing says “home, sweet home” like a couch and a few pizzas—the true comfort food. What better place to do that than perched atop your fridge for a good view? Sure, you could renovate your bathroom to mark your housiversary. Or you could illustrate the time you’ve spent in your home by showing just how much your fern grew over the years. Imagine what this houseplant will look like on the 20th housiversary? The best part of a potluck? Dirty dishes go back with the guests who brought them—no one wants to be stuck at the sink on their housiversary. To commemorate her housiversary with her husband and two kids, homeowner and marriage and family therapist Heidi McBain takes stock of how their house in Flower Mound, TX, used to look versus how it looks now. Because a house, after all, needs to change with the times. 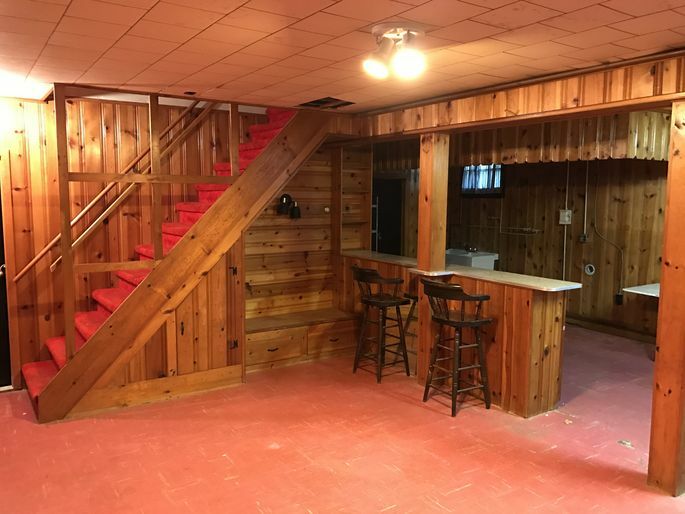 Does it need a fresh coat of paint in the living room, or a new garage door? If you’re looking for some ideas, here are the top home renovations for 2018. Check out these plants that naturally repel mosquitoes. This beautiful purple colored plant is a natural mosquito repellent with a wonderful fragrance. Lavender is a great addition to an outdoor space as it adds color as well as keeps bugs at bay. Its unique scent will keep insects and rabbits away and is very hardy. Lavender tends to spread out and can get quite large so make sure that you have enough space when planting this beauty. Lavender does well in warmer climates but can withstand a wide variety of environments as well. This plant is a no brainer when it comes to its ability to keep mosquitoes at bay. Citronella is a commonly used ingredient in many natural mosquito repellents and this grass does well in doing just that. The lemon scent of Citronella Grass is incredibly good at repelling bugs and does well in planters. Place a few pots around an outdoor living space for ultimate protection against biting insects. 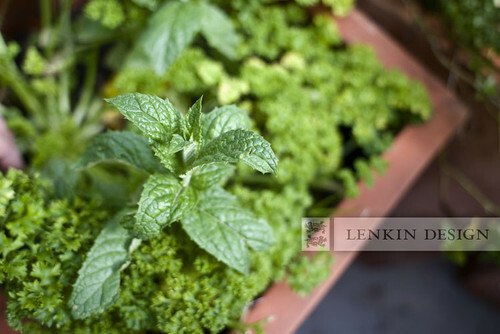 As a variation of the mint family, catnip is very good at deterring insects. It is low maintenance and does well in planters as it has a tendency to creep into other areas of the garden. A recent study showed that catnip was actually much more effective than DEET and the natural repelling aspects are impressive. If you do decide to choose this mosquito repelling plant have a plan of action for neighborhood cats who may be attracted to your outdoor space as well! This annual flower produces a scent that repels mosquitoes as well as other bugs such as whiteflies, aphids, and hornworms. Marigolds are an easy addition to an outdoor space as they do well in pots that can be spread out around a patio area or even placed directly on your outdoor table. They do well in borders or edging as well and should grow well all summer long. As an easy to grow herb, Rosemary extracts a woody scented oil that repels both moths and mosquitoes. It does well in containers but can also thrive along borders or in garden beds as well. Rosemary has the ability to grow quite large so regular trimming is recommended. It does best in dry and arid environments but can withstand colder areas when placed in pots. Enjoy the mosquito repelling qualities of this plant as well as snip off a few sprigs to use in summer cooking. Take charge of your outdoor space and plant different varieties that will repel pesky mosquitoes the natural way. 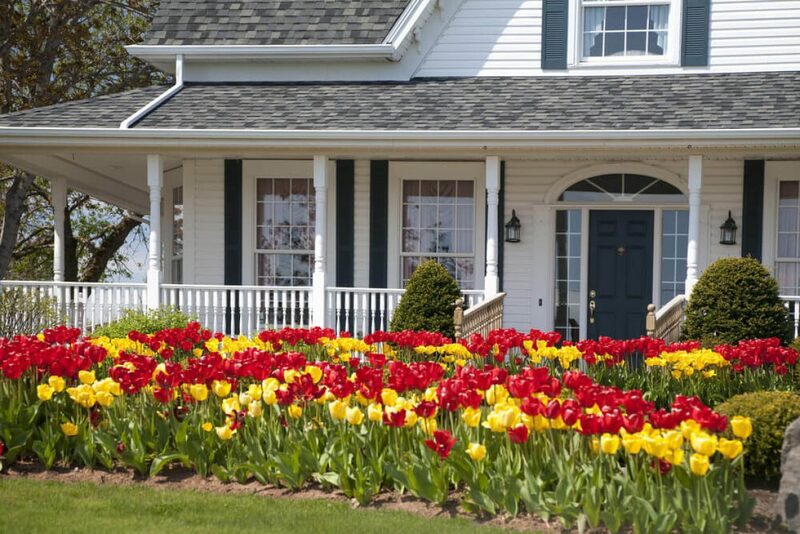 Choose a few favorites and see which plant does best in your outdoor space. 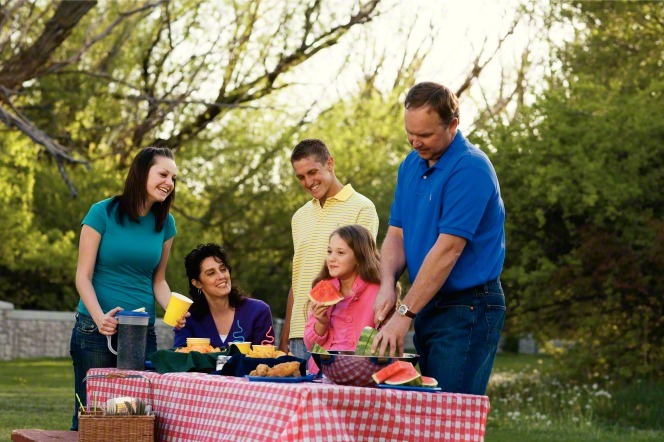 Consider placing them close to the outdoor seating area for greatest impact on keeping the biting insects away from your outdoor space this summer. What Is the Rule of Three. The Rule of Three is adesign principle which affects every room of your home. It dictates layout, size, and shape of objects,the work triangle of a kitchen, even the color, pattern and fabric designs of your room. 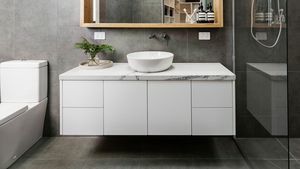 This concept is seen everywhere from presentations, magazines, to photography and of course, interior design and it is best described by the theory of Feng Shui. This theory presents the idea that odd numbers expand and create more energy, while even number contract and condense. So what does this mean to you? If you want to infuse your space with energy, create a well-designed space that is inviting and relaxing, and make your room feel as large as possible (no matter how big it is) you can do this with the Rule of Three. One is not enough, and five or more is too much, why three? One is boring, it doesn’t really create a lot of energy or interest in a space. Imagine a blank room with just one chair in the corner. No matter how comfortable that chair is, you probably won’t want to spend too much time in here. Now imagine a room with 5 or more elements like the Punk Rock Suite at the Hard Rock Hotel. Now the design here may have been intentional, given the desired scheme (aka PUNK ROCK) but you can see it looks very busy. The human brain likes to easily puzzle things together and with three you can always find the center point and balance. Once you get past that, the brain has to work hard so naturally, it starts to resist. Now that you know why you should use the Rule of Three, let’s look at some ways to apply this concept to your décor. 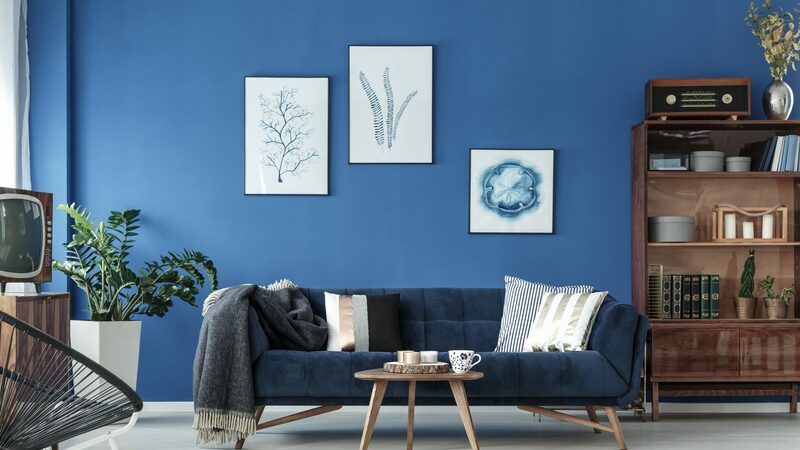 When applying color to your room the general principle is to add one big area of color, for example like this accent wall, a sofa, a decorative tapestry or area rug. Then look for 2 other ways to reintroduce that color within the room. According to the blog Mr.Kate.com you need to repeat a color at least 3 times to give a room a pop of color, otherwise, it just looks out of place. Notice how in this Santa Cruz kitchen you have a pop of lavender on the large accent wall, this is then accented by the vase and the similarly colored island bar stool. The Rule of Three also applies to the size of an object, this includes the height and girth. The good news is, they don’t all have to be the same size. This layout from Gauthier-Stacy Interior Design shows three bottles, all of varying sizes. This creates more visual appeal. 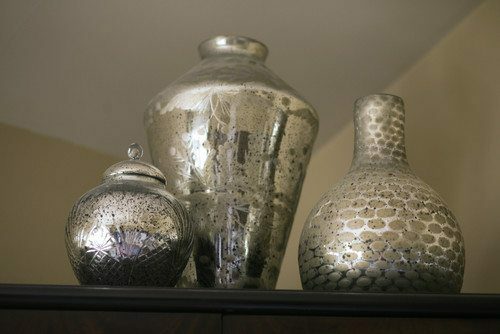 You can also create an intriguing decor collection with three items in different shapes. The logic of size and shape applies to many elements of your interior décor. The accent pillows you put on your sofa or bed; the arrangement you choose for your bookshelves or mantle; the lighting layout for your kitchen. Now that you’ve explored some ways to incorporate this into your home, let’s look at some projects that put this rule to work. This kitchen has several examples of the Rule of Three, and of odd numbers in general. 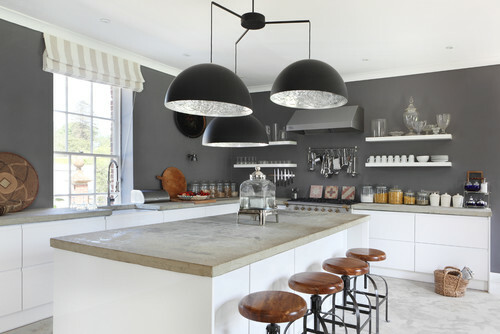 There is a three prong light design above the island, 3 clay tiles behind the stove and three white pottery canisters on the counter. But notice how there are odd multiples of everything from the glass jars and glass vases to the singular glass water dispenser on the island. Even those who prefer more linear, and less abstract, can find balance and symmetry with the Rule of Three. Did you use the Rule of Three in your interior decor? A real estate agent, realtor, and broker are three separate individuals with differing levels of education, experience, and affiliation. In terms of their qualifications and the services they offer, you might be best suited with a realtor VS a real estate agent, or vice versa. Are you working with a Realtor or a real estate agent? Often, people use the words interchangeably to refer to any individual who handles real estate transactions, but that’s not correct. A real estate professional can be classified as a real estate agent, realtor, and/or broker. The difference between these titles are the levels of education, experience, and affiliation. So, who are these individuals and what do they offer? Are all real estate agents realtors or is there more required to be one or the other? We’ve got the inside scoop. A real estate agent is a person who is licensed to represent buyers and sellers in a real estate transaction. The steps to becoming licensed vary by state but typically include a minimum number of instructional hours and the passing of a real estate licensing exam. Additionally, many real estate agents have also passed a state background check and have business insurance. Agents are the most common real estate professionals that you’ll run across. All real estate brokers and realtors are real estate agents, but not all real estate agents are brokers or realtors. The differences between a real estate agent and broker have to do with education. A real estate broker has pursued a higher level of licensing after working in the industry for a set amount of time. In addition, to become a broker you should be verified by a principal broker and pass a broker exam specific to your state. In the end, the most telling differences between a real estate agent and broker are their level of experience. A broker has at least worked in the industry buying and selling homes for a few years. The final title is that of a realtor. A real estate agent and a real estate broker can both be realtors. The key to being a realtor vs. a real estate agent is belonging to the National Association of Realtors (NAR). Only members of this association can be identified as a realtor. Shall put the interests of buyers and sellers ahead of their own. Shall cooperate with other brokers and agents if it’s in the best interest of the client. Shall refuse fees from more than one party without consent. Shall not discriminate in any fashion. Shall always present the truth in advertising. All in all, the REALTOR® Code of Ethics offers a very specific outline for how an agent or broker should think, act, and perform their duties. This is not to say that the main broker and realtor difference is the type of individual—an ethical or non-ethical person. A broker can follow these same ethics guidelines without being a member of the National Association of Realtors. However, being a member of the NAR does offer a course of action if you have a complaint; you can contact your local board of realtors. So, how do you choose the right real estate professional for you? 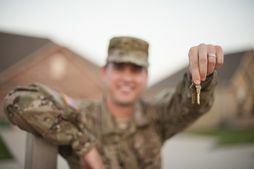 The right individual will be different for every transaction, homebuyer, and seller. You need to decide if having a few extra years of experience and education or adherence to a specific code of ethics makes you feel more comfortable hiring one person over another. No matter whom you decide, we recommend carefully vetting all your candidates and reviewing their qualifications before making your choice. A realtor isn’t necessarily better than a broker, and an agent isn’t necessarily less experienced than a broker. It all depends on their qualifications. Vet wisely. Untangling the hose. Searching for the spade. Stepping on a rusty rake and getting whacked in the face like you’re in a cartoon — again. It’s not that you expect yard work to be as easy as sipping a cold hefeweizen on the patio (it is yard work, right? ), but does it have to be a drag before you even get to the work part? It doesn’t, actually. 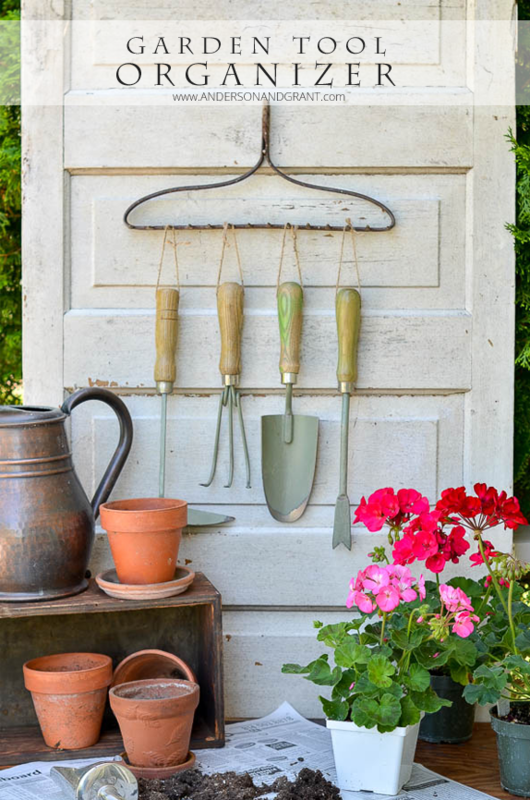 These 11 tool organizing ideas are so clever, they’ll help you whip through all your yard tasks with such a can-do attitude, you’ll be on the patio sipping that beer in no time. If you haven’t invested in a wall-hung wind-up reel, an inexpensive, galvanized bucket is a great option to corral your hose — especially if the alternative is a muddy, rubber rat’s nest behind the bushes. Be sure to cut drainage holes in the bottom of the bucket to avoid creating a mosquito haven. “This would also make for easy winter storage,” says Sara Pedersen, a professional organizer from the Twin Cities. Just pick up the bucket, and put it in the garage. A slim pallet can make clever use of what is typically unused space between the wall and garage door frame. Snag a pallet — after asking for permission! — from a building site or behind a grocery store. You can even attach it to the wall with hooks, as this homeowner did, so she could lift the whole thing off the wall to clean behind it. “Any time you can get items off the floor and onto the wall is a good thing,” Pedersen says. People tend to forget to go vertical. Now you’ve got room underneath for a small work table or storage bins. Hang a couple of inexpensive Ikea storage bars, designed for kitchens and baths. Simple S-hooks allow for lots of small tools to hang. If you need more storage, just add more bars. If you don’t want a rusted look, spray the springs with Rustoleum paint. You may also want to situate it under a protective overhang or use it for element-proof tools only. Who has paper files anymore? Scan and shred those documents, and give your old filing cabinet a more exciting second career. Turn the cabinet on its side and install sturdy casters. Pegboards on each end offer additional space for smaller items. “My clients would love this; it’s easily accessible, and you can just shove in tools without worrying where they have to be placed,” says Lisa Mark, a professional organizer in Los Altos, Calif.
Like the file cabinet cart, this idea also recycles old stuff: Here it’s two doors, unused sewer pipe, salvaged closet rods, and a pegboard. Unlike the filing cabinet, you can determine where the separations go — customizing the width of each storage section — and design the pegboard area to really fit your needs. 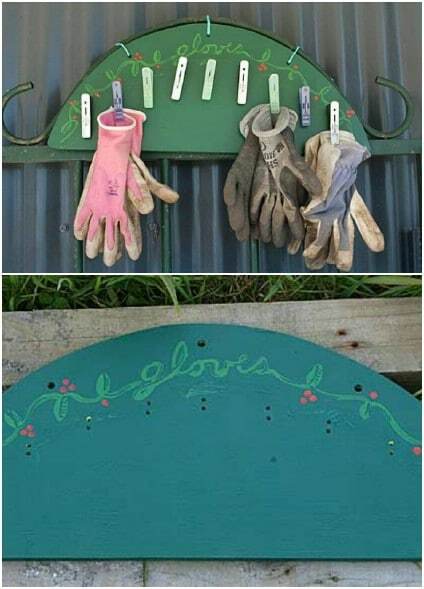 Cut off the back of a $20-yard sale armoire for a perfect way to hide that jumbled group of utility meters — and providing a place to store your yard stuff. This one is attached to the wall with L-brackets and concrete anchors. A concrete and stone base keeps it safe from standing water, and a coat of marine varnish keeps it dry. #9 Don’t Forget the Kiddos! Kids love digging in the dirt. These planters-turned-storage bins keep kids’ “tools” handy and allow dirt and water to fall right off. Stick with plastic items to avoid rust issues and “just make sure the holder is low enough so kids can easily grab what they want,” Mark says. And more easily put them away, of course (if you’re so lucky). This storage cupboard fits snugly into what otherwise would be unused corner next to a patio door. And the smart engineering makes it deceptively roomy inside. “A simple unfold reveals whatever tool you’re looking for,” Mark says. When you’ve got what you need, the accordion-like hinged portion on the left side folds back up to cover the cubbies. Tools are protected from the elements, and you’re protected from having to go on a scavenger hunt to find your shrub rake. If you’ve got the budget, a shed is the ultimate fun solution. And think about a wide doorway — for moving a wheelbarrow, ladders, mowers, etc. in or out — but note that “a really big swinging door [is difficult to open and] can be a barrier to use,” Mark says. Opt for an easy-open sliding barn door. 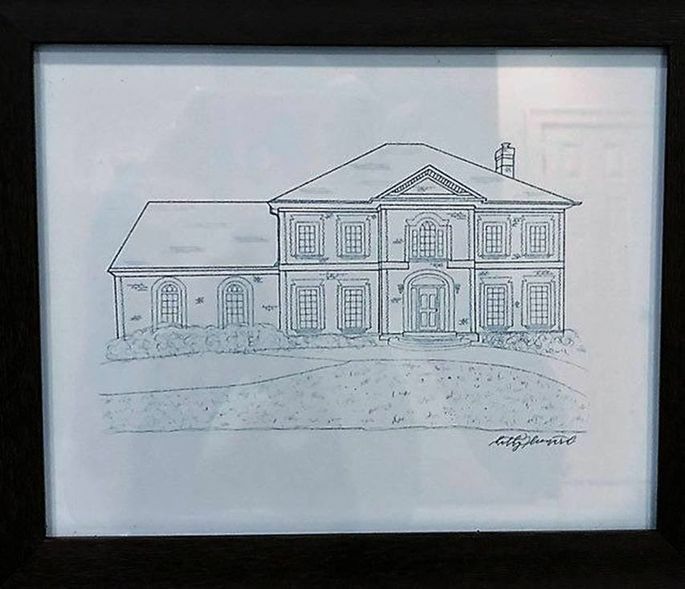 STACEY FREEDwrites about homes, design, remodeling, and construction for online and print national trade and consumer publications, including “Better Homes & Gardens.” Previously, she was a senior editor at “Remodeling” magazine. Follow Stacey on Twitter. Transform your patio, deck or outdoor room into a personal oasis that reflects your special sense of style. As the temperatures rise and the days get longer, it’s time to create an outdoor space that’s a welcoming extension of your home. The inside of your home is a reflection of your style, and your outdoor space should be no different. Struggling with how to bring your design taste outdoors in a way that’s unique to you? With a few special touches, you can transform any patio, deck or outdoor room into a personal oasis that reflects your special sense of style. To get started, consider the size and function of your space to select the right furniture. Whether you have a huge backyard complete with a large patio for alfresco dining or a small balcony in a city apartment, make your outdoor space completely your own by focusing on how you can enjoy it most within the space limitations. For example, your balcony space may not support a dining area, but it might comfortably fit two lounge chairs and a bistro table, perfect for outdoor dining. If you’re looking to create a cozy, personal getaway to curl up with a book, choose a few chairs, a side table and a chaise lounge. If you love to host outdoor parties during the spring and summer months, consider adding a full outdoor dining set, multiple lounge chairs and even an outdoor bar cart. If you want a place for a large family to gather under the stars, choose a sectional. Everyone’s outdoor style is different, so think about how you envision using the space. Start with what you need, and know that you can always add pieces as your needs change. Colors. Start by choosing your favorite color scheme. If you like bright colors, go for a bold combination of yellows, blues or reds. Navy is a great option for a poolside retreat. For a contemporary look, blues, whites and greys all blend well. Love a minimalist style? You can’t go wrong with classic black and white. Textures. With your color palette in mind, search for outdoor rugs and textiles that create a cohesive look. Then, add finishing touches such as copper lanterns, twinkling string lights, stylish planters or metal wall art. Whatever you choose, make sure it’s something you really love and that feels personal. Of course, no space is complete without a few special touches. You probably don’t want to subject family photos or treasured souvenirs to the elements, but you can still personalize your outdoor space with decor pieces that hold special meaning. Choose touches like a hand-painted birdhouse or homemade musical wind chime. If you have a green thumb, plant your favorite flowers in planters for a sweet reminder every time you see them. However you choose to decorate, you’ll know yours is a one-of-a-kind outdoor space. Sara Marie Hall creates original online content about outdoor furniture for Crate and Barrel, where you can find options for spaces of any size. She enjoys spending time outdoors and loves adding new personal touches to her outdoor space each Summer. A DIY herb garden is an easy way to have fresh basil, cilantro, and other kitchen staples on hand—no more running to the store or wasting cash on wilted parsley! What’s not to love? But if you’re wondering whether a DIY herb garden is easy to set up and keep alive, rest assured, it’s the perfect choice for a beginner. Here’s how to get started in six simple steps. Photo by Randy Thueme Design Inc.
Find a patch of lawn that gets full sunlight for at least six hours a day. “If you live in foggier, coastal climates, plant on the south or southwest side of your lawn,” recommends Rhianna Miller of Rubbermulch. Be sure to steer clear of grass or turf that’s been treated with pesticides, says Sam Souhrada, maintenance division manager at FormLA Landscaping. “These chemicals don’t always stay where they’re sprayed, and the rain can cause them to run off and travel to your herb garden,” he explains. Most perennial herbs (e.g., sage, mint, and thyme) and many annuals (e.g., basil, cilantro, and dill) will thrive in much of the U.S. As for your own herb selection, don’t go wild and pick a lot of oddballs. Instead, plant the ones you like and will actually eat. For example, chocolate mint sounds fun, but most people prefer regular mint for cocktails and iced tea. Basil is popular in salads (with tomatoes and mozzarella), pesto, and savory dishes. Bonus: Basil is known to keep mosquitoes and houseflies away, reports Amy Lowe, a nursery specialist at Lowe’s. 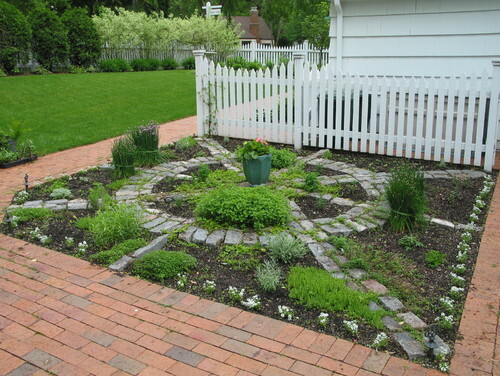 Other low-maintenance herbs include thyme and rosemary (the latter can survive on very little water). “Planting from seeds is less expensive, but also less predictable, and it takes more time,” notes Souhrada. 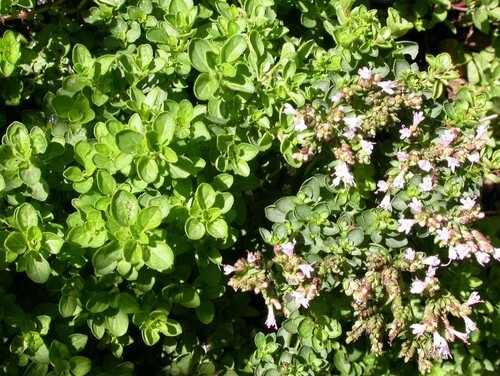 And if you don’t know what oregano looks like, you could end up plucking it out when you weed. 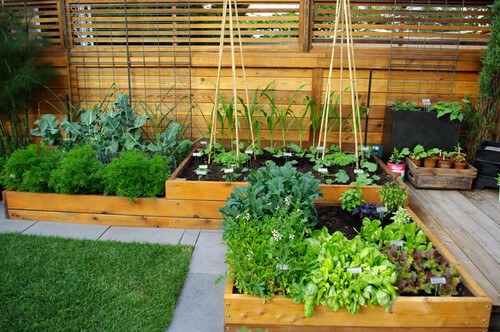 Instead, cut to the chase and put in small plants from the farmer’s market or nursery. Look for bright color, plenty of foliage—and no bugs. Space herbs out (10 to 12 inches between each) since many spread as they grow. Gently remove the plant from its container, squeeze the bottom roots to loosen them, and then nestle it into a hole. Lightly pack dirt around the herb, and then water it well. You might want to label each section with the name of the herb painted on a rock or written on a wooden stick. Water when the dirt is dry, during the morning hours. 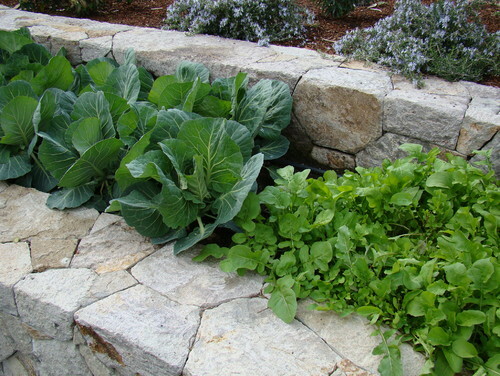 Direct the water spray at the soil—not the leaves (this can promote mildew and disease). 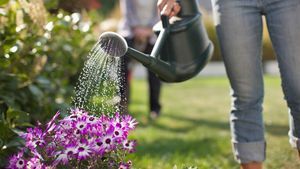 “You may need to water frequently, even daily, in very warm climates,” says Miller. How often you’ll need to weed is also related to rainfall, according to Souhrada. “Check the area weekly to be sure weeds aren’t outcompeting the herbs,” he says. Add 2 inches of mulch around your plants, as it’ll release nutrients and help retain moisture so you can water a bit less. Target weeds naturally with a spray made from white vinegar. See flower buds forming? Snap them off, which will help keep the herb’s flavor from turning bitter. “Some flowers, like chives, are edible, but it’s not a good idea to allow your herbs to flower early in the season,” says Miller. Once this happens, the plant is signaling that its life cycle is ending. To keep this from happening, pinch off buds as they appear. 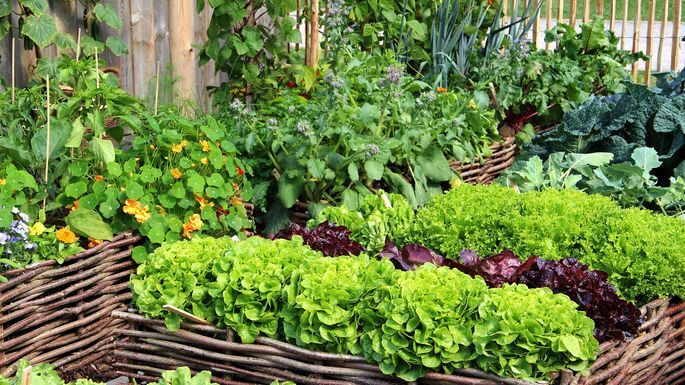 Brace yourself: Rabbits, mice, deer, and squirrels all want a piece of your herb bounty. 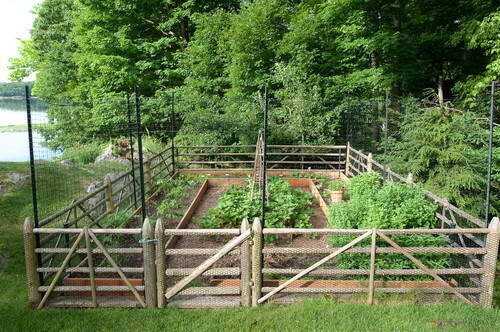 You can plant herbs in raised boxes and enclose them with chicken wire to keep critters from stealing the harvest. Or sow with critters in mind. “Rabbits love lettuce, but not rosemary or cilantro,” says Souhrada. Tackle insects (beetles, mites, aphids, and whiteflies) with organic or homemade sprays made with orange, cedar, peppermint, lavender, or neem oil, recommends Miller. “Using insect sprays for a five-day cycle will typically rid your herbs of the offending bugs,” she explains. Jennifer Kelly Geddes creates content for Chewy.com, the National Sleep Foundation, Fisher-Price, and Mastercard.